Just scrumptious or just wonderful or just apricot is understandable— but Just Joey? 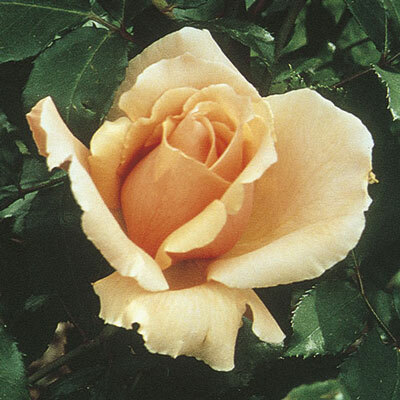 Nevertheless, the big brandy-colored buds, the large ruffled apricot flowers steeped with fruity fragrance, and the huge glossy green leaves have intoxicated many a rose lover. An immigrant from England, the bushy vigorous plant takes well to our shores. Deepest color in moderate consistent temperatures.